Leading manufacturer of custom designed football scarves, soccer scarves, hats, gloves, wristbands, cushions and other promotional sportswear and accessories. Teritex Sportswear specialise in the manufacture of custom designed knitted and digitally printed football and soccer scarves, knitted hats and knitted gloves for the wholesale UK and international markets. We currently produce football / soccer scarves, hats and gloves for Premiership and Football League teams throughout the UK and various leagues throughout Europe / Scandinavia / Australasia and the US. We do not hold stock, as everything is custom made to order. 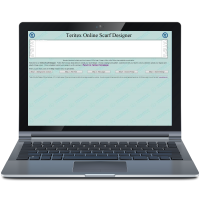 The Teritex design team have the use of modern computerized design tools allowing us to provide a very quick turn-round on our custom designed football scarves. Teritex continue to introduce a significant number of new products to our custom designed football scarf range including sublimation printed fleece scarves and embroidered loop scarves - the latter proving very popular with colleges / universities etc. Teritex are happy to work closely with customers on any new ideas they may have. TALK TO US TODAY ABOUT YOUR CUSTOM DESIGNED FOOTBALL SCARVES, HATS GLOVES AND OTHER PROMOTIONAL SPORTSWEAR REQUIREMENTS!